As we are approaching the end of 2015 we get the chance to check out the new car models for next year. It doesn’t matter if you have been naughty or nice this year. You can still get the car of your dream soon. The new Lincoln MKZ combines intuitive technology, effortless performance and distinctive design to deliver an enhanced driving experience Lincoln calls quiet luxury. The new Lincoln MKZ is designed to make the drive ride easier and more enjoyable. Available adaptive cruise control with stop-and-go functionality automatically can slow the car, resuming higher speeds when traffic clears. The system activates the brakes automatically to bring the car to a complete stop if the driver fails to apply brakes in time. An auto hold feature keeps the car at a complete stop without the driver having to press and hold the brake pedal – making stop-and-go driving more relaxing for MKZ owners. Available enhanced park assist uses ultrasonic sensors to help Lincoln MKZ seamlessly steer itself into a parallel or perpendicular parking spot. The car can assist with park-out as needed. Pre-Collision Assist with Pedestrian Detection is an available technology that can help avoid some frontal crashes, or lessen the severity of such events. An all-new, Lincoln-exclusive 3.0-liter GTDI V6 leads available engine choices for the new Lincoln MKZ. When paired with an intelligent all-wheel-drive system, the twin-turbocharged engine produces 400 horsepower and 400 lb.-ft. of torque2 for effortless performance and refinement. Dynamic Torque Vectoring part of an available Driver’s Package for MKZ with the 3.0-liter engine, enhances cornering agility without compromising ride comfort, helping drivers enjoy a smooth, seamless experience. The new Lincoln MKZ provides a hybrid alternative as well; and a 2.0-liter GTDI, 245-horsepower2 four-cylinder engine with front-wheel drive. 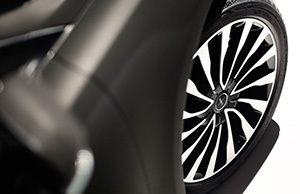 Available Lincoln Drive Control allows drivers to adjust among three drive ride modes – comfort, normal and sport. The system includes continuously controlled damping, and electric power-assisted steering to provide comfortable, confident handling. The Driver’s Package for Lincoln MKZ with 3.0-liter V6 also includes 19-inch wheels, Ebony-painted calipers, light Magnetic-painted grille, Ebony interior with carbon fiber appliqués, customizable multi-contour seats and aluminum pedal covers. In addition, the package features retuned continuously controlled damping and suspension for enhanced driving dynamics. 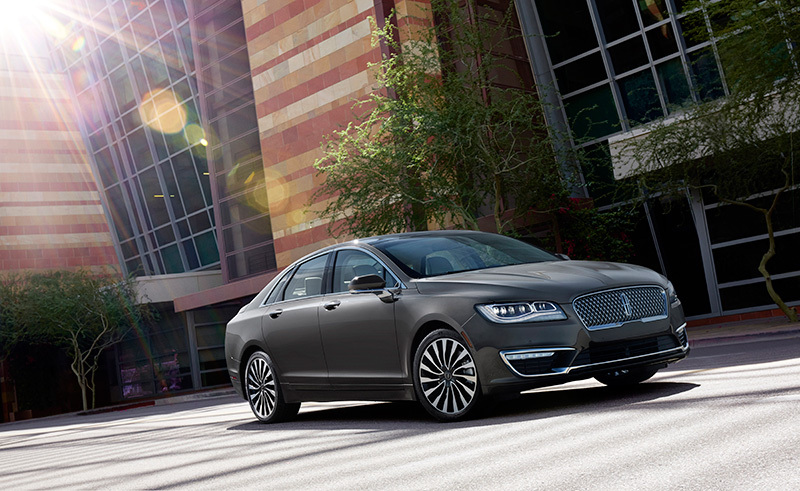 The new face of Lincoln is highlighted by available adaptive LED headlamps that help deliver cleaner, clearer lighting for drivers, complemented by the all-new one-piece Lincoln signature grille. Inside, engineers paid particular attention to the sound and feel of new switches and dials that replace slider adjustments for easier control of ventilation and audio functions for new Lincoln MKZ customers. Commonly used buttons and USB ports are now even easier to access. Two all-new Lincoln Black Label themes, Chalet and Vineyard, as well as Thoroughbred, deliver desired uniqueness and options paired with luxurious materials. Lincoln MKZ’s available fully retractable panoramic glass roof offers the largest open-air roof among sedans. The new Lincoln MKZ goes on sale in summer 2016. Print article This entry was posted by Art Eddy III on November 18, 2015 at 4:12 pm, and is filed under Cars. Follow any responses to this post through RSS 2.0. Both comments and pings are currently closed.